Whether you are here for a visit or are remaining in the Grand Duchy for a staycation summer, here are a few things you can do during the summer months in Luxembourg! There are plenty of options when it comes to Shopping in Luxembourg, but nothing quite beats the local markets around the country. Local produce, fresh produce, meats and flowers as well as hand crafts can be found at these bustling markets. 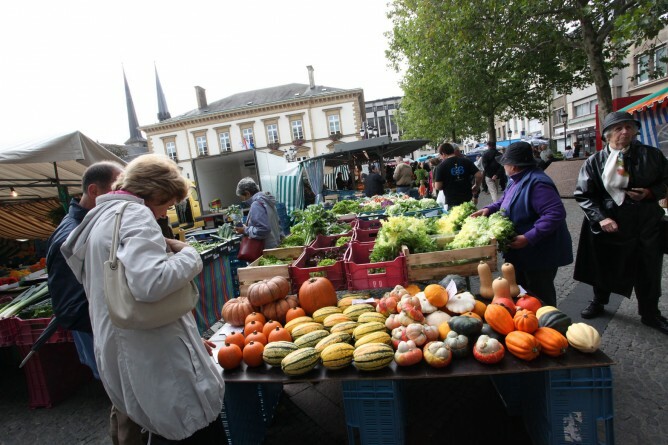 With different markets happening all around Luxembourg, there is at least one almost every day! If you are on the hunt for a good bargain, the traditional big "Braderie" in Luxembourg takes place on the first Monday in September, so be sure not to miss it! People have often described Luxembourg’s landscape as something out of a fairytale and the country certainly has the castles which do it justice. The majestic castle of Bourscheid which towers high above the river Sûre is open every day from 9:30 am to 6 pm. Swimming is such a staple summer activity and the choice of both indoor and outdoor pools are aplenty in Luxembourg. Visiting castles and being afoot all day can be tiring so swimming is an fantastic way to wind down – did you know that you can go swimming in the Remerschen Lake. Are you having trouble choosing where to take the children? No problem – there are actually a bunch of activities you can do together from a barefoot walk in Medernach to the chairlift in Vianden. The Parc Merveilleux is fantastic for a day out with the kids but if the weather in Luxembourg happens to take a miserable turn, then a visit to the National Museum of History and Art or the National Museum of Natural History will surely keep the whole family entertained. The buzzing Fête de la Musique and National Day celebrations may be behind us but the Luxembourg City summer programme continues with music festivals on the Place Guillaume, a return of Streeta(rt)nimation and of course the golorious annual Schueberfouer fun fair – one of Luxembourg’s oldest surviving traditions. An excellent way to cool off during warm summer days is by doing some of the water sports activities that Luxembourg has to offer. From a relaxed day of fishing to an adrenaline pumped afternoon of water skiing; there is something for everyone. Now there are also canoe tours which can be done on the Sûre river to see region from another perspective. "Man and the forest" section (5 km) crosses mainly wooded areas, with visible marks left by Man. The second section (4.5 km) along the "Gaalgebierg" and focuses on the exploitation of iron ore deposits. The third and final section (2.5 km) is dedicated to plant colonization in abandoned sites of former mining areas. Have you ever fancied a bit of mountain biking? You are in for a treat as there are wide range of trails to choose from in the different regions of Luxembourg, from the new tracks in the Red Rock region down south to the Ardennes up north. If mountain biking is not for you there is also the option of rock climbing in Berdorf, near the German border. Don’t forget to bring your affiliation card to one of the international climbing federations (UIAA or IFSC), otherwise you will not have access to the site. Hopping on a segway and zipping around is a fun way to discover Luxembourg City, but the tours are not just limited to the country’s city centre. 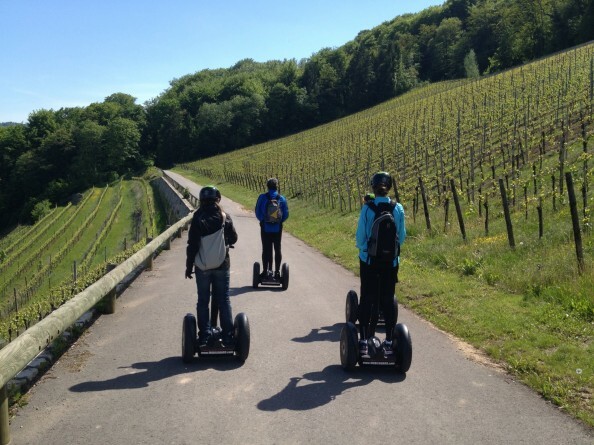 Segway tours are also available in Rumelange, in the Red Rock region and in the Moselle towns of Remich and Schengen. Kids over the age of 12 are more than welcome to join in on the segway shenanigans. 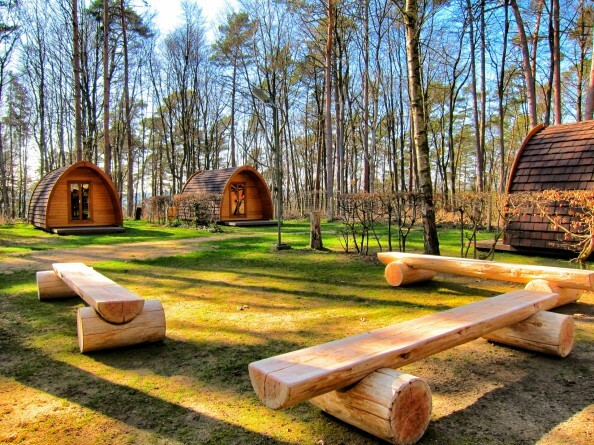 Camping is one of the best ways to experience Luxembourg’s serene country side but fear not if you are travelling around Europe without a tent on your back - this is where glamping comes in! A hassle-free option where you can either stay in a cabin or a semi-permanent tent and still enjoy the variety of pass-times that come along with camping. Don’t forget the marshmallows and campfire horror stories!